Seweryn Spalek possesses extensive knowledge and expertise in project management, both in theory and practice. Since 1994 has managed several IT projects in Industrial Companies and Healthcare Organizations, in multicultural and multinational environments. Established and have been running Portfolio Management of over 500 projects per year within organization. Member of AOM, PMI, IPMA. Director at Large at SEFI. Seweryn Spalek, Ph.D. is a Professor of Business and Management at Silesian University of Technology. He possesses extensive knowledge and expertise in project management, both in theory and practice. Since 1994 has managed several IT projects in Industrial Companies and Healthcare Organizations, in multicultural and multinational environments. Managed an Organizational Change Project – redesigning the functional organization to project oriented organization with PMO. Established and have been running Portfolio Management of over 500 projects per year within organization. 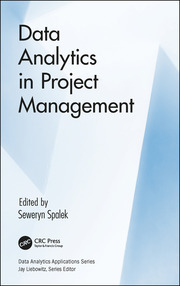 The author and co-author of several publications in Project Management. Author of “The Art of War in Project Management”. Participated as a speaker in several global conferences related to Project Management and Company Management. Lecturer of MBA and post graduate studies - Company Management focusing on: “Applied Project Management”. Carried out research related to Key Success Factors in Project Management and Project Management Maturity. Member of AOM (Academy of Management), PMI (Project Management Institute), IPMA (International Project Management Association). Director at Large at SEFI (La Société Européenne pour la Formation des Ingénieurs / The European Society for Engineering Education).